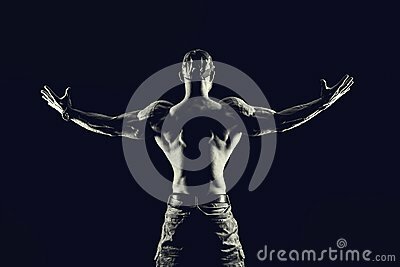 Bodybuilding fitness concept. Strong man. Fit and healthy muscular male body.